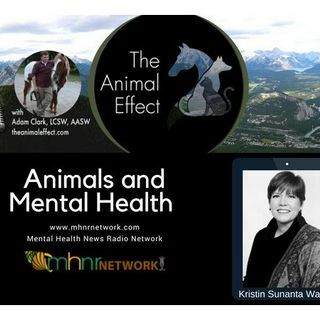 Your host Adam Clark, LCSW, ACS is joined by the founder of Mental Health News Radio Network, Kristin Walker to discuss this terrific new show and why animals are such an important part of mental health therapy. Kristin Sunanta Walker is the host of Mental Health News Radio. She has volunteered her time as a therapy dog handler with psych hospitals, behavioral health centers, and schools with behavioral health classrooms. She and one of her therapy dogs, Myles, spent seven years speaking, ... Más informaciones volunteering, and working with mental health patients offering support, comfort, and education about the benefits of animals in mental health treatment.